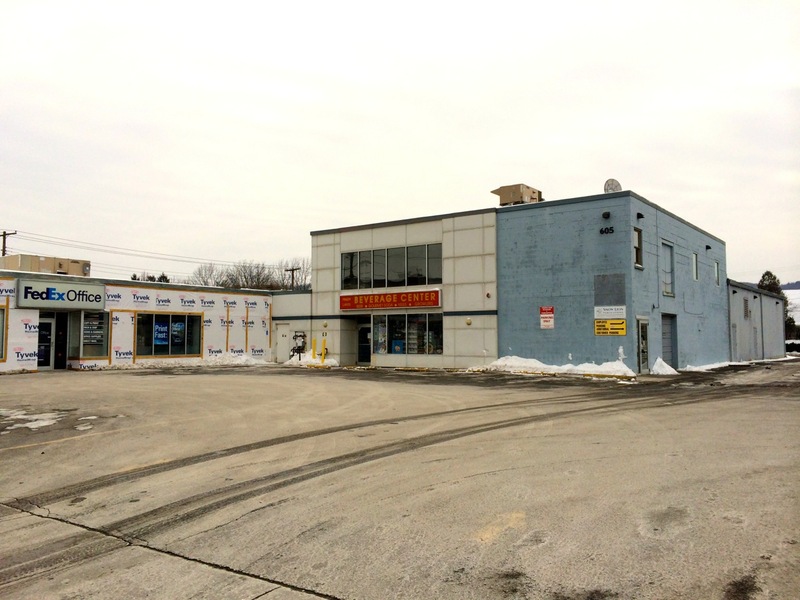 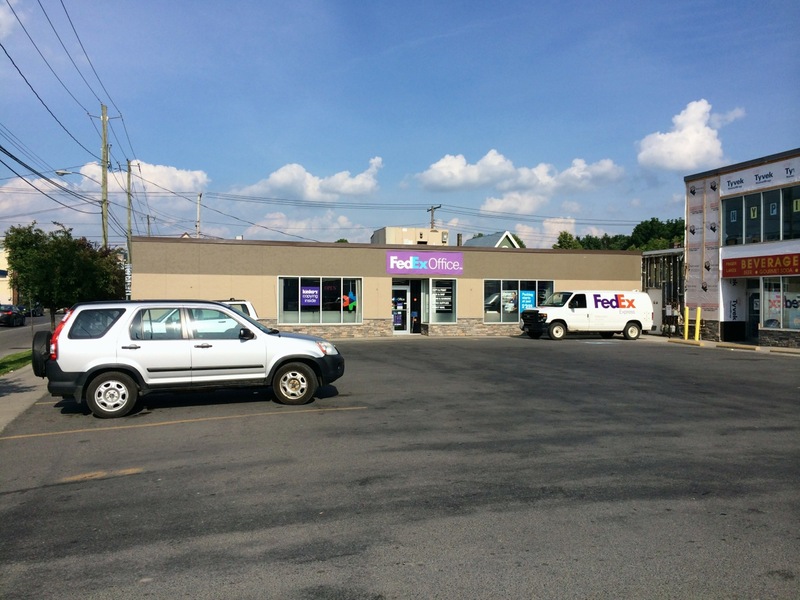 The Westgate Plaza containing the Finger Lakes Beverage Center and FedEx Office is currently being re-sided in addition to interior work that, if I’m reading the plans correctly, will result in an expanded mercantile space for the beverage center (entry on the western side, change of occupancy from S-1, storage to M, mercantile). 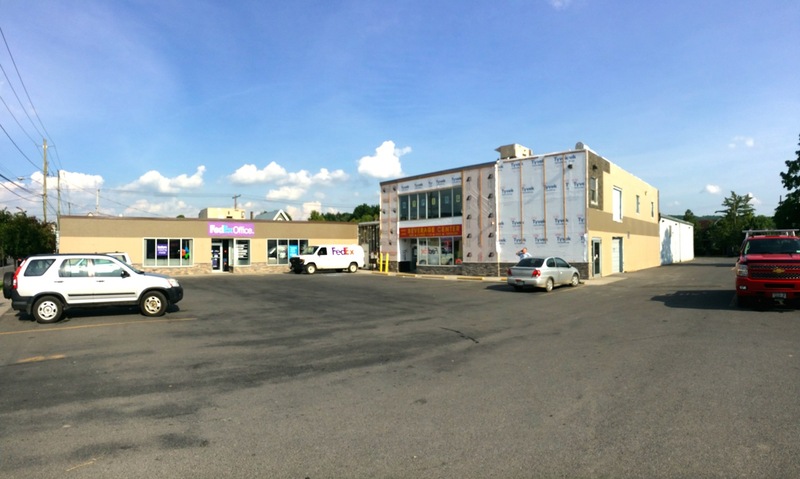 As you can see from the roof, there’s a new layer of EPDM being installed, as submitted in the site plan review application in June last year, and the ceiling structure in southern portion of the building is being modified to accept a new drop ceiling, along with new partition walls and coolers. 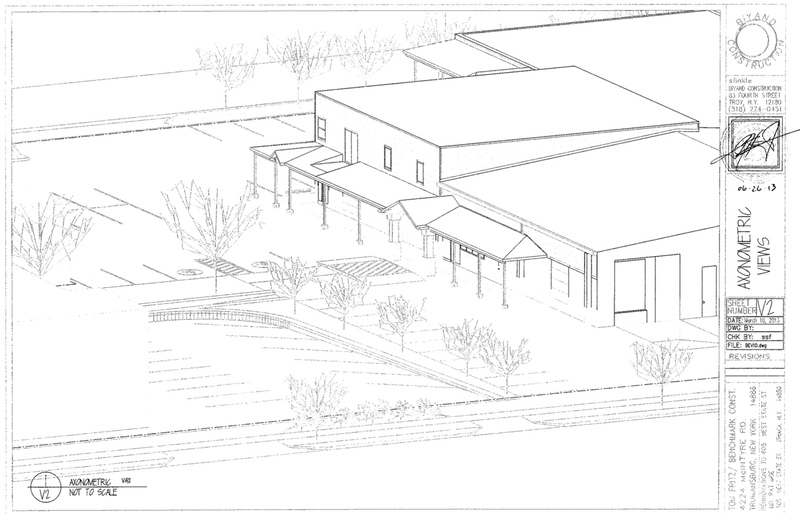 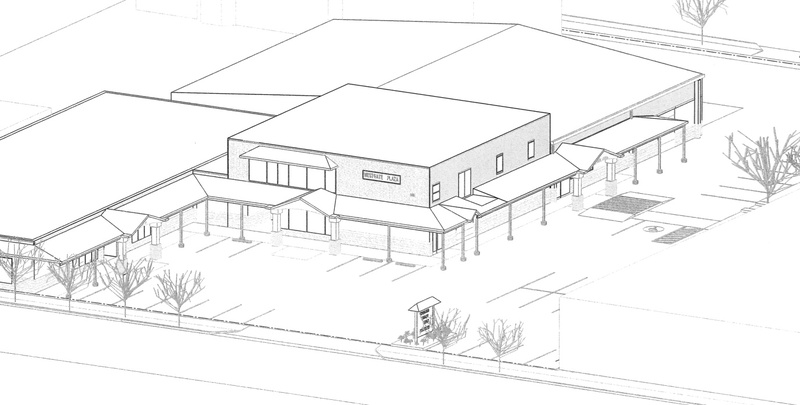 The renovated exterior will feature a wraparound apron roof, and a redesigned parking lot in addition to new siding. 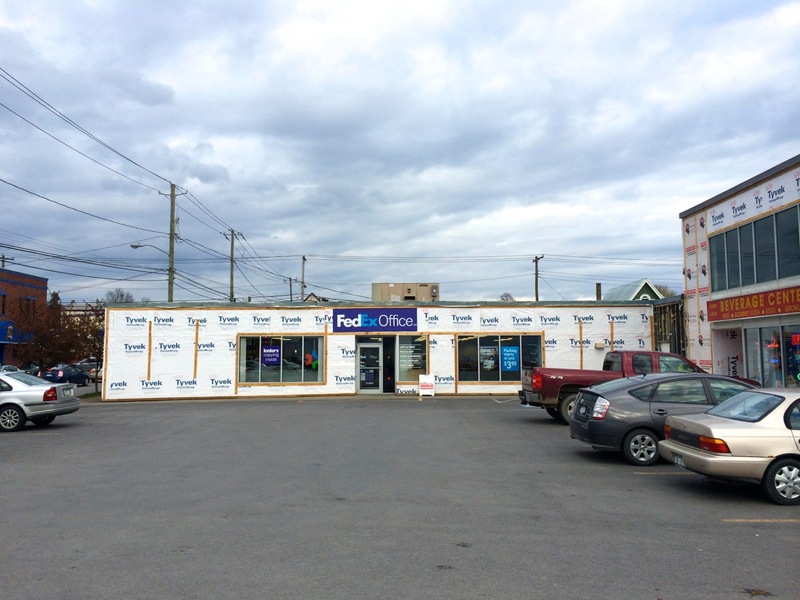 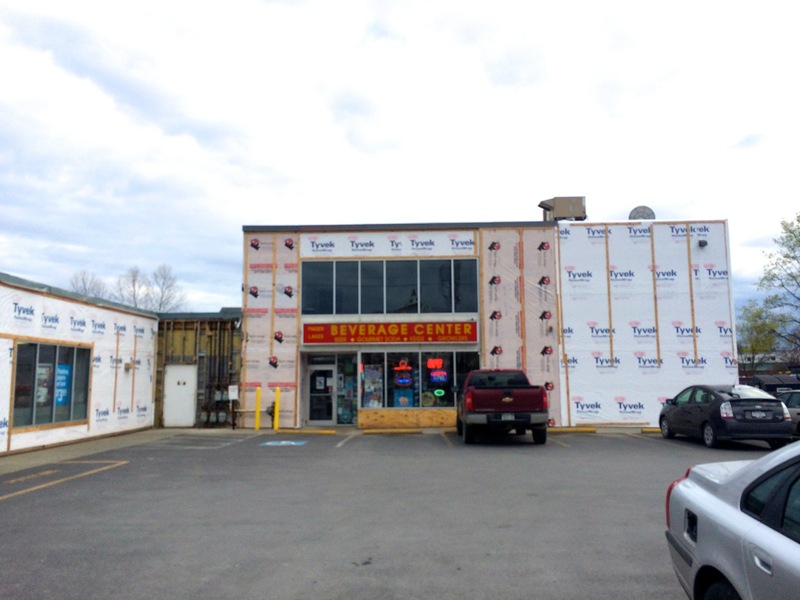 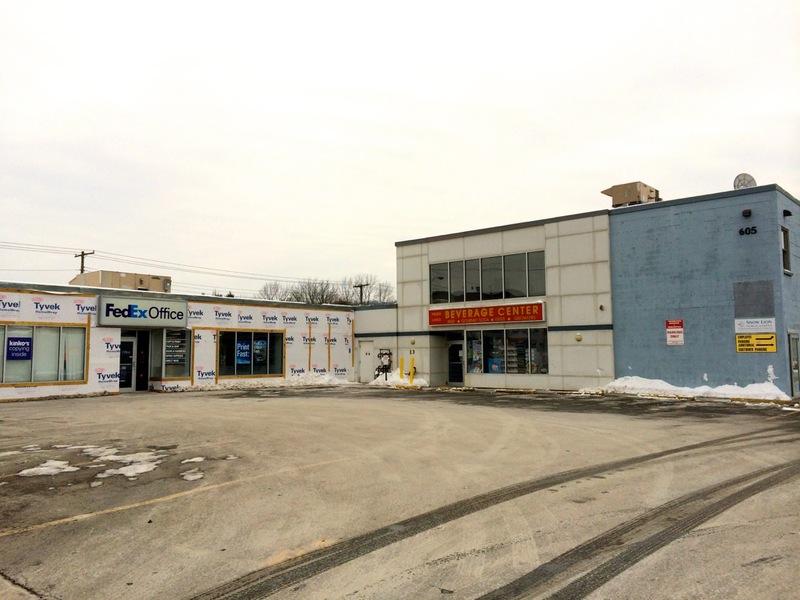 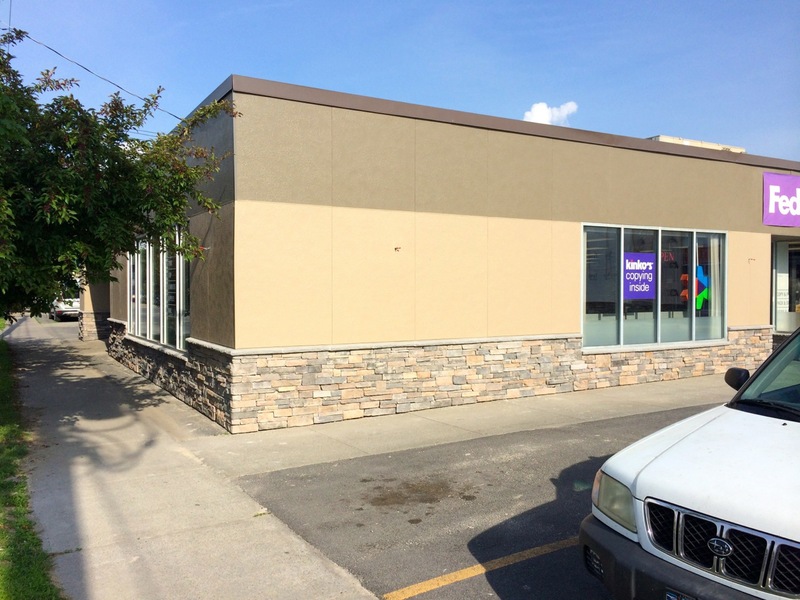 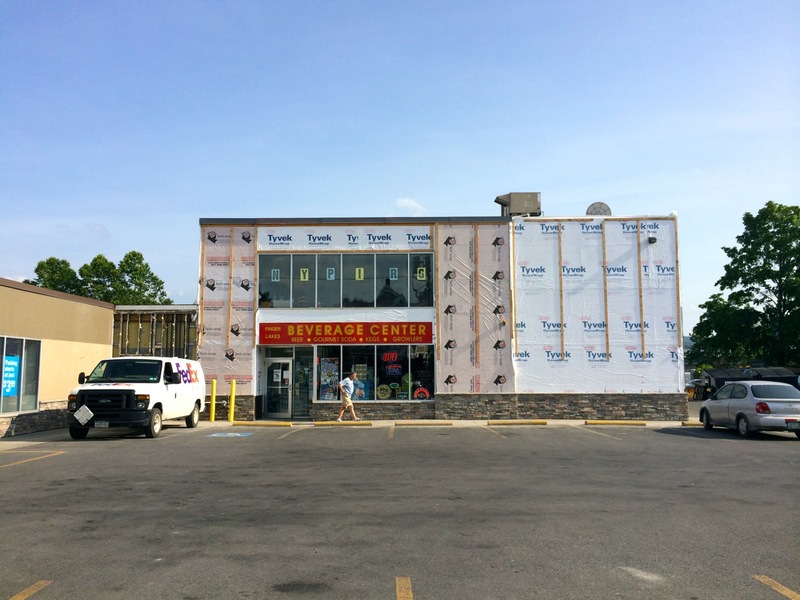 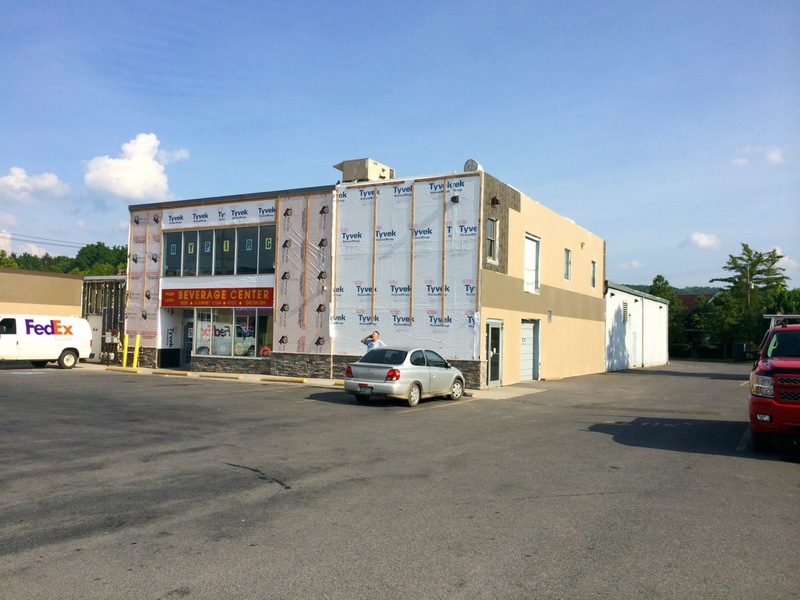 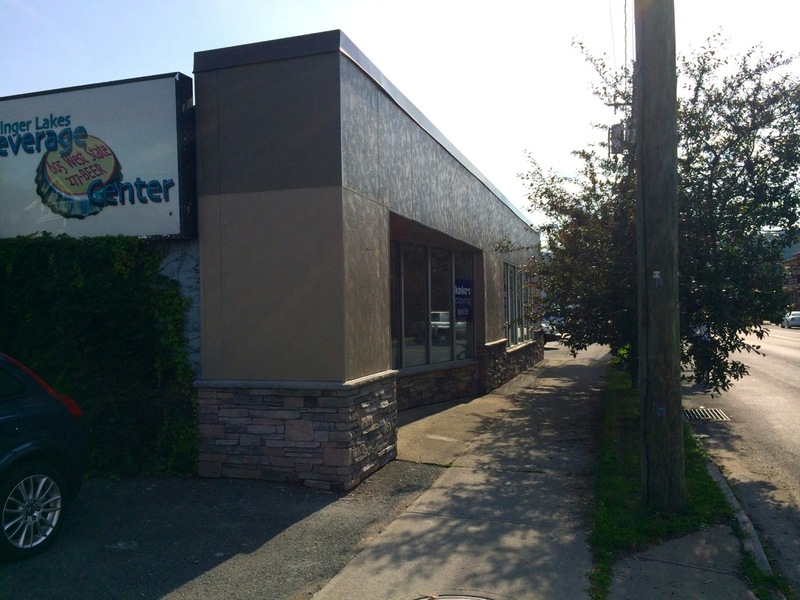 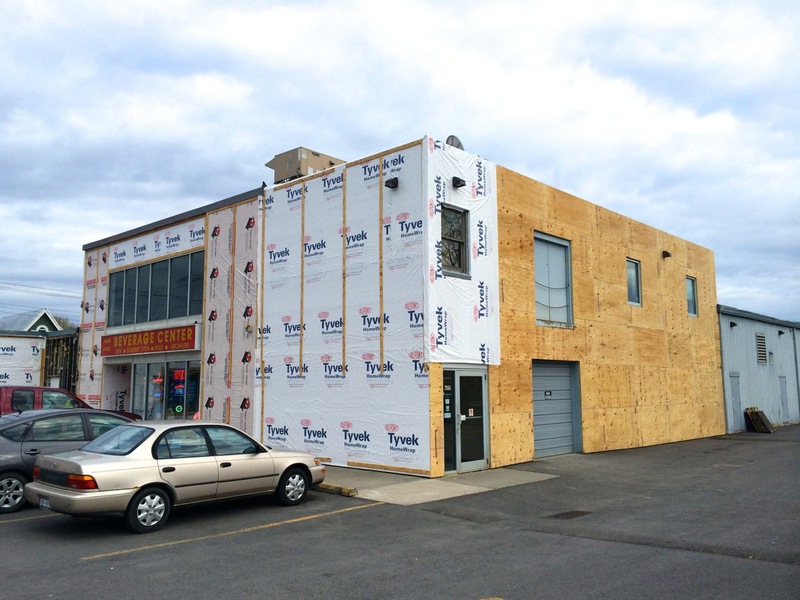 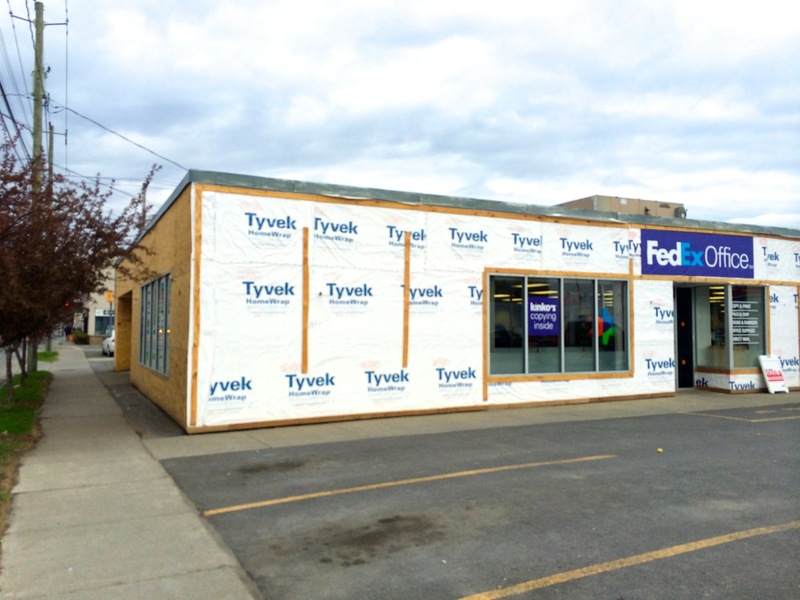 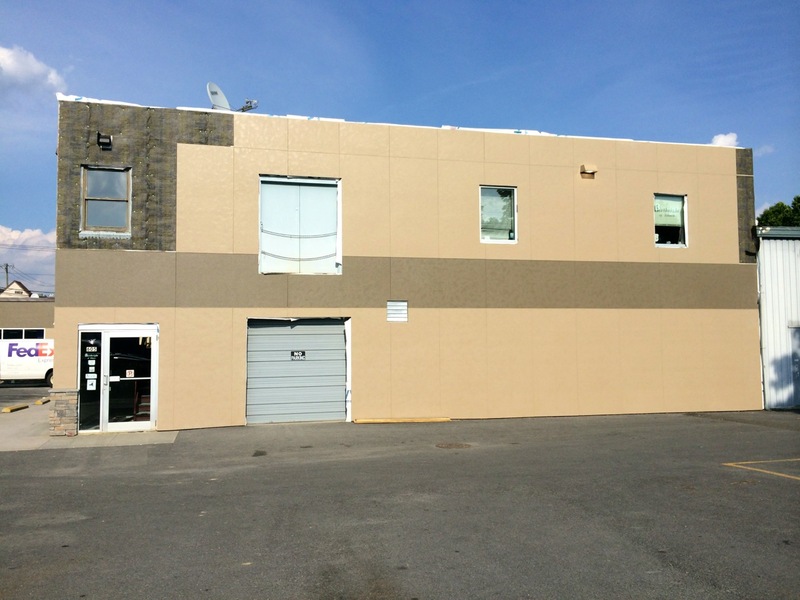 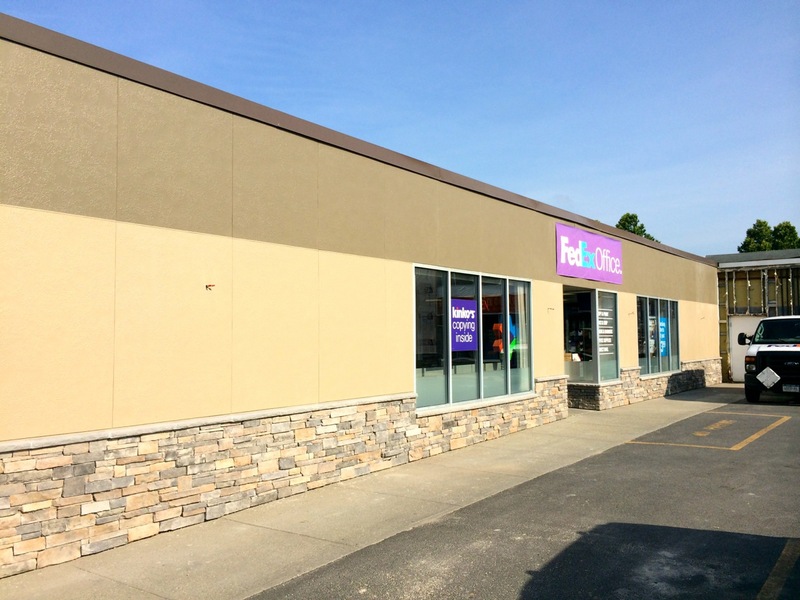 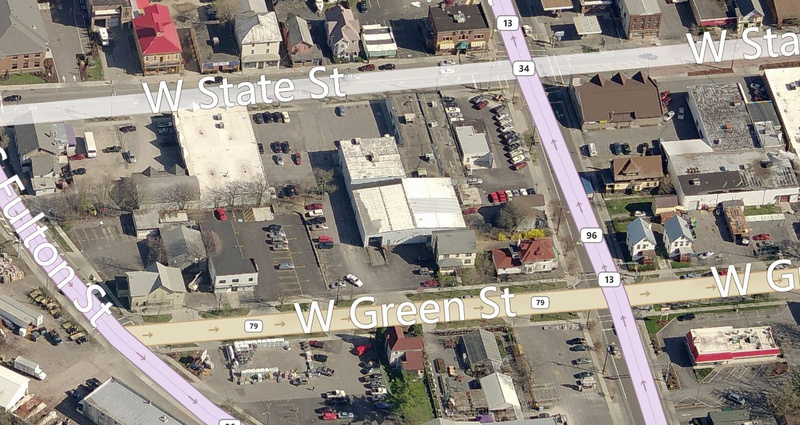 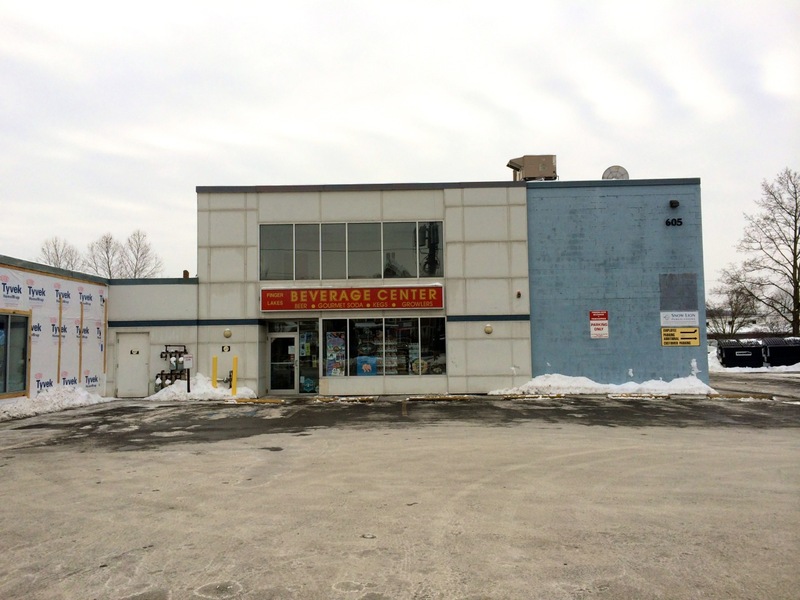 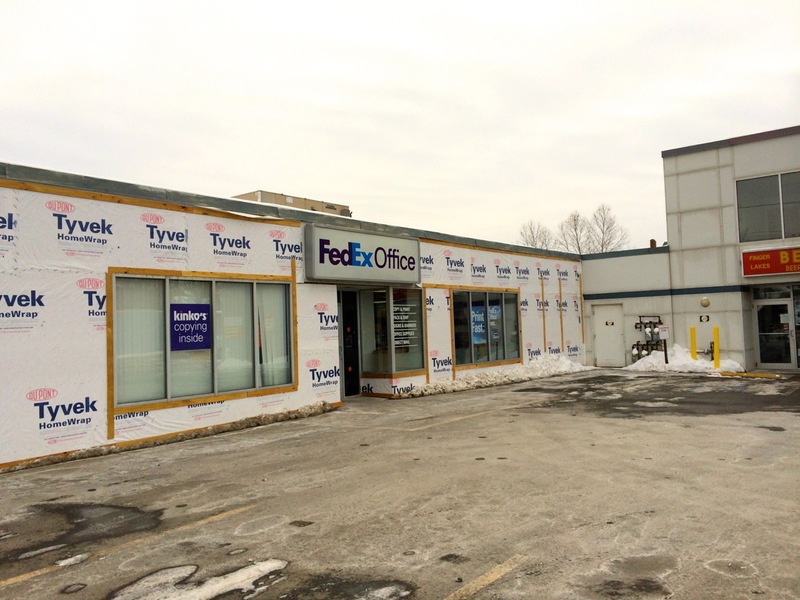 605 West State Street, better known as the building with the Finger Lakes Beverage Center and Fedex Office will be doing some renovation work to the building, primarily new EPDM roofing, landscaping changes, and facade alterations with a new wrap-around awning. 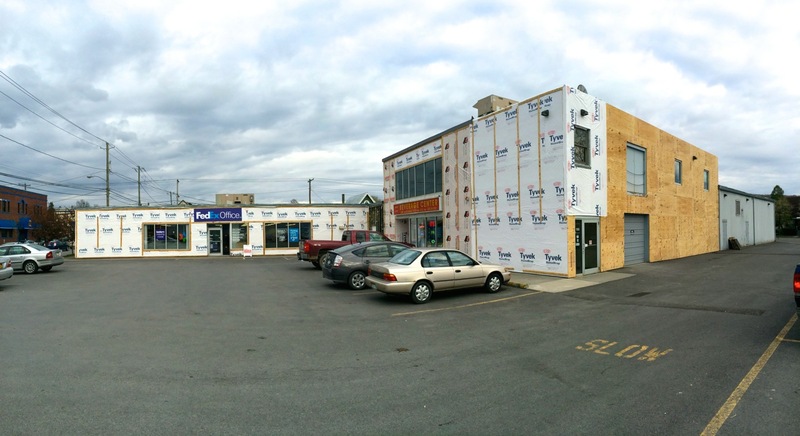 The work is being done by Benchmark Construction/Fritz Contracting out of Trumansburg. 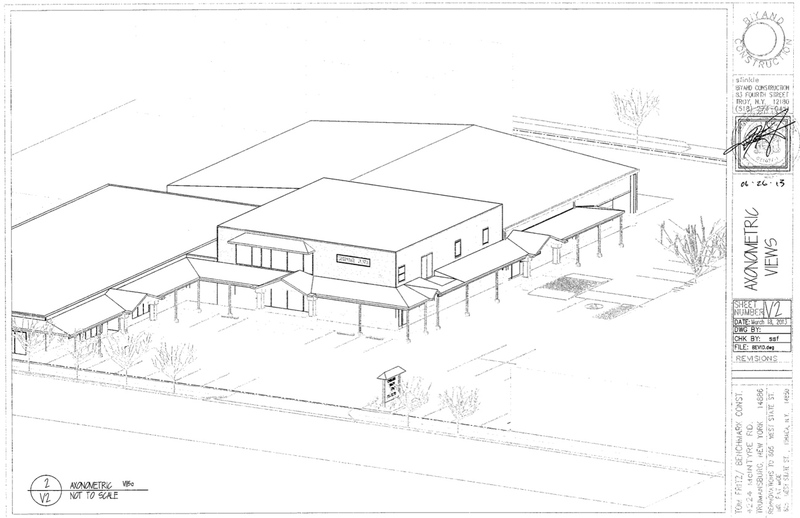 The work is scheduled to finish by the end of the year.